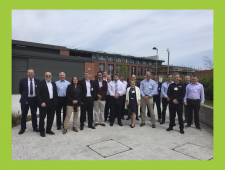 On Thursday 17th May, the Welsh Automotive Forum (WAF), Swansea University’s College of Engineering and ASTUTE 2020, co-hosted an event for WAF automotive industry representatives at the state-of-the-art Bay Campus, Swansea University as part of WAF’s South West regional meeting. 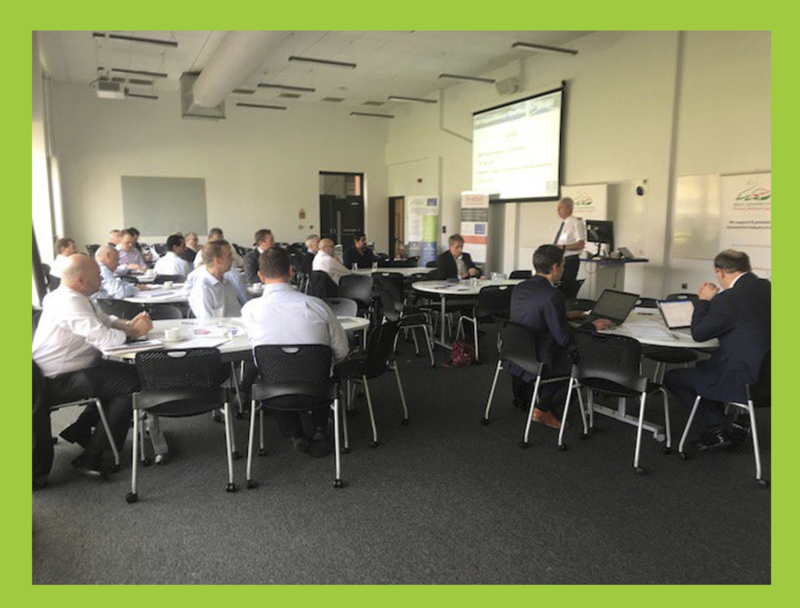 WAF’s regional meetings bring together members of the forum (primarily manufacturing firms) to explore ways to develop a common approach in achieving sustainable continuous improvement for the automotive industry in Wales with contributions from guest speakers. WAF are the authoritative voice of the automotive sector in Wales and the regional meetings are an ideal opportunity to share information across members whilst providing industry with the opportunity to participate and engage in networking. 12 companies and 30 delegates attended the meeting, where attendees heard from both Tim Williams, CEO and Robert O’Neil, Operations Manager, WAF, who gave an update of the WAF strategic plan and provided an insight into market conditions, Brexit and opportunities for re-shoring supply chains. This year has seen the successful launch of the WAF regional meetings at our Wales based Universities. Attendees also heard from academic experts in the manufacturing sector about successful and exciting partnerships that the automotive industry can access through the EU funded ASTUTE 2020 (Advanced Sustainable Manufacturing Technologies) operation which aims to drive productivity and growth within multiple manufacturing industry sectors by de-risking sustainable future manufacturing technologies and developing higher-value goods and services of the future for the global market. Prof Johann Sienz, Operation Director and Dr Gavin Bunting, Deputy Operation Director of ASTUTE 2020 informed attendees about how ASTUTE 2020 are working together with the Welsh Manufacturing Industry to embed advanced and sustainable future manufacturing technologies through knowledge exchange whilst exploring and demonstrating ways in which they can benefit through collaboration. ASTUTE 2020 will work with the manufacturing industry across Wales through effective collaboration with academia, harnessing world-class academic expertise across the University partnership, and offering support from highly qualified researchers and technical experts. Unique access to state-of-the-art research facilities, experimental equipment, advanced techniques and bespoke software will enable greater levels of business innovation in future manufacturing processes. Kautex Textron CVS Ltd. designs and manufactures windscreen washer systems for the automotive industry. Collaboration with the ASTUTE 2020 team enriched Kautex’s expertise and knowledge and enabled them to develop technically advanced products. ASTUTE 2020 worked on the computational modelling research element of the fluidic chip in analysing flow characteristics and key parameters of the fluidic nozzle. Additional avenues that industry can engage with Swansea University’s, College of Engineering include the degree apprenticeships that combine university study and workplace learning and the Employability Academy that cultivates strong relationships with graduate employers and offers opportunities for a ‘Year in Industry’. In addition, the avenue of exploring support from academia via the KTP initiative was highlighted. Attendees also took the opportunity to visit the College of Engineering’s cutting-edge facilities in areas such as advanced engineering and innovation, additive manufacturing and robotics.